One reason I enjoy my trips to such as EGX Rezzed is that, while the smaller events don’t always have the largest games around, they often have something smaller that for one reason or another, grips me. 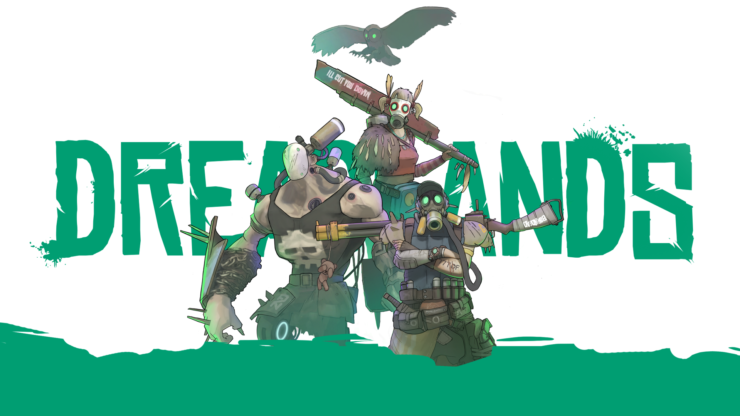 Dreadlands, developed by Blackfox Studios and published by Fatshark (Krater, War of the Vikings, Warhammer: Vermintide games) is one of those games. To be frank, it’s more the concept of Dreadlands that has me intrigued. The game itself isn’t exactly far on in development – one of the developers told me that they’re hoping to go into beta within the next few months. 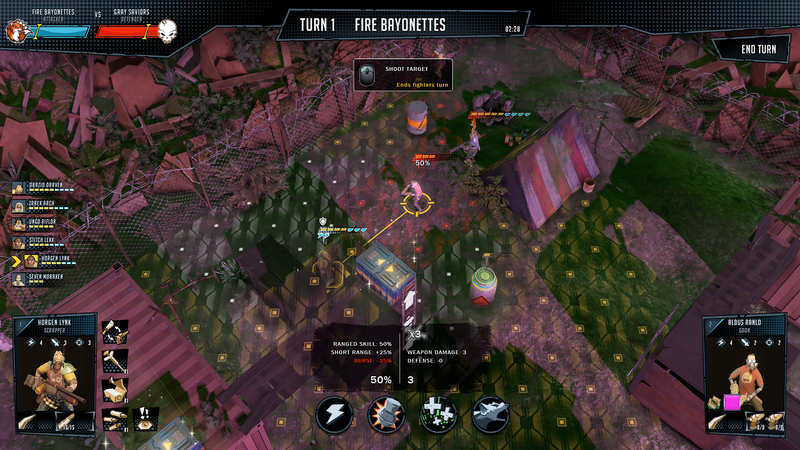 What the game wants is to feature MMO aspects in a Turn-Based Tactics game. If done right, it could certainly be interesting. Dreadlands is, at its core, a single player title. You can play alone, facing the AI in PvE as much as you like. You do also have the option of PVP in the exact same method though. While the actual battles of the game take place on procedurally generated maps (more on that later), you will have access to a world map where you will be able to roam and explore, where there will be the visible forces of both NPC’s as well as other human players. You’ll be able to either fight these other players or group up with them for co-op battles. Also, some of the NPC’s will be friendly. Apparently, there isn’t going to be much of a narrative to speak of. The primary aim is to allow for an emergent narrative based on what happens to your gang based on the battles you fight, the people you meet along the way and whether they become friend or foe. Will you gather the resources needed to build up your hideout (which acts as a central hub)? If so, how are you going to develop it, what will your focus be on? Will you focus on the equipment of your people, strengthening them for battle or will you go down a different route. Most importantly, will your people survive your expeditions into the Dreadlands? All of this will truly be determined by the units you take into battle as well as the tactics you use. How these tactics are decided are one of the more interesting areas. 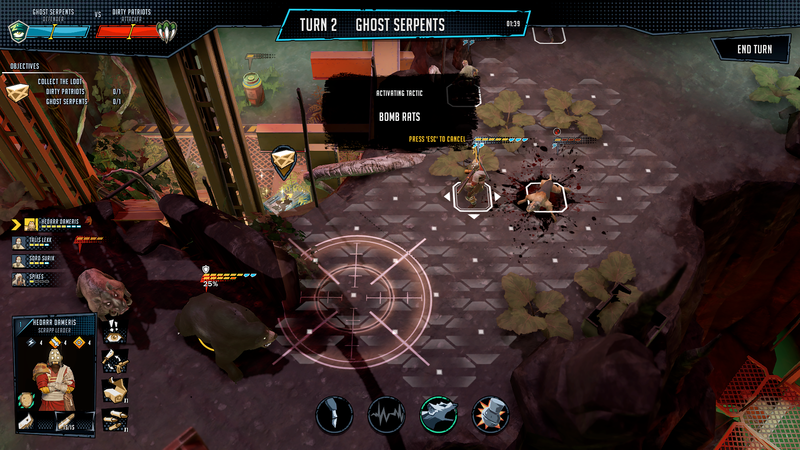 You have four tactics in a battle, of which are either active or passive abilities, which are selected from a deck of fifteen cards within the hideout. Naturally, you will be able to drop certain tactics from your deck, bringing in other ones. Will the game prevent you from using the exact same four cards? Will it be random? I’m not exactly sure. There’s a lot of the game still to really be decided and balanced. What I have been told is that where the hideout will allow for the building of your tactics deck, there are other elements planned for it too. There will be other buildings like a Medcenter to heal your units. As is commonplace in the genre, there is permadeath. 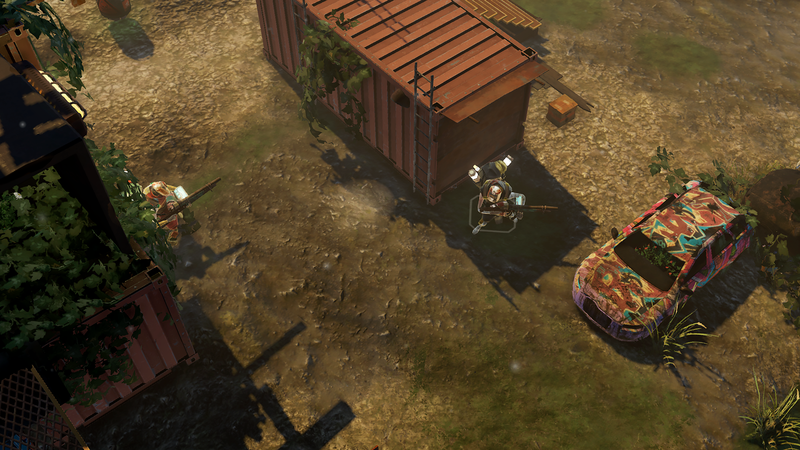 There will also be other buildings like workshops that allow you to use resources gained from battles to upgrade your units’ weapons and armour. This is the area of the game I was able to actually have a hands-on with are the battles themselves. These are similar to what you would find in X-COM, just with a few alterations. Here, necessary to facilitate the online aspect of the game, turns have a time limit. When I asked, I was told that there is a chance that the time limit will be removed for any battles in pure PVE battles. The turn of a unit takes place across two phases, the first being a movement phase and the second being action. If you want, you can extend the movement range of a unit by sacrificing its action point. So far, so standard. Each game has its own small differences, such as giving so many action points per turn or just giving you a move phase and an action phase. If it’s done right and balanced well, it’s hard to go wrong. From what I was able to play this is balanced well, though it does have a few interesting idiosyncrasies. One of these is the way melee combat is performed. If your character uses a melee attack then you don’t get to then move and retreat after the fact. It’s designed to prevent someone from essentially kiting melee troops. One other interesting element in the game is a moral test. As you fight and lose units, the morale of your group will lower. The same applies to the opposition, human or AI controlled. At the start of every turn, there is a morale test. If the morale test fails, the battle is lost and your troops retreat. Naturally, you want to keep your troops alive as much as possible anyway, having them improve and retain their weapons and equipment, making your overall force stronger as you go along. The simple fact of the matter here is that a lot of Dreadlands is unknown. While I was able to get a hands-on with the turn-based tactics gameplay, everything else is essentially what I’ve been told. Actually, fighting was enjoyable, the tactical elements engaging and the animations in something so early in development surprisingly enjoyable. I’m probably too interested in the fact that my Canine unit, once down to around 20% health, started crawling rather than walking or running when ordered to move, with other animations looking laboured. Dreadlands is a game that I’m intrigued by, but I can’t say much other than I’ll be keeping my eye on it. Will it be good? Will it be bad? It’s so hard to tell. They certainly have the combat in a fine state, it’ll just be how the world elements, hideout building and, most important, how everything interacts in an online-focused setting that matters most. Until the beta is released, all we can do is keep an eye out on the website for more information and the progression of the game.